Ah, the family camping trip: fun-filled days at the lake or river, restful afternoons lying in a hammock slung between two trees, roasting marshmallows by the fire, and snuggling into cozy sleeping bags at night. At least, that’s what glossy magazine covers and campground brochures would have you believe about the experience. 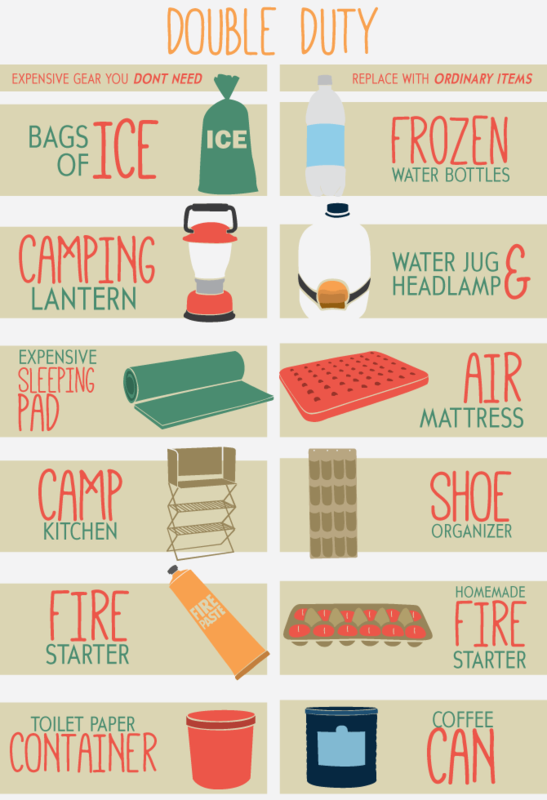 If this idealized version of events doesn’t exactly mirror your own camping experiences, you’re not alone. My first few excursions into the great outdoors with my kids involved more work than play, more chaos than relaxation, and far more dirt (on everything) than I bargained for. In the years since, I’ve learned some tricks of the trade that have turned my camping trips into (almost) the postcard version. Mosquito bands, candles, or clothing: Mosquitos are an unfortunate evil of outdoor recreation, and repellent spray is often unhealthy and smelly. 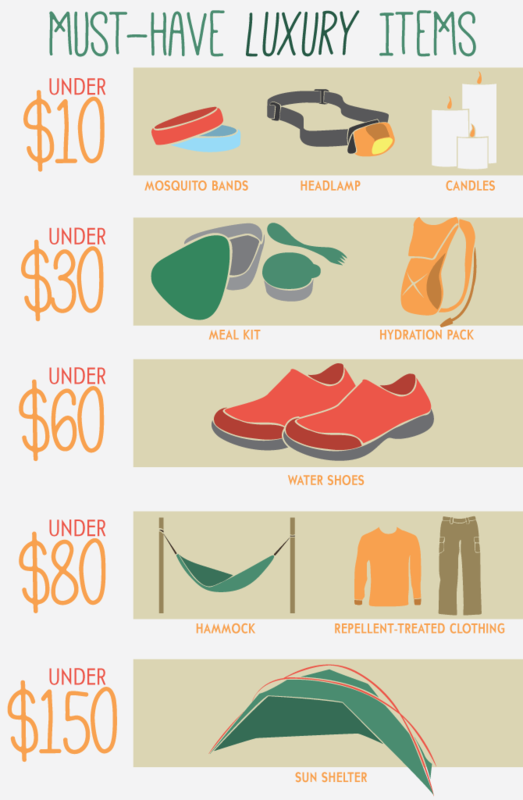 Mosquito bands are a non-intrusive alternative, and they can be bought for just a few dollars. Ditto for citronella candles, which can be set out on picnic tables after dark. If you want to go high-tech, try insecticide-treated clothing, with repellent infused directly into the fabric. Exofficio.com and Columbia.com both make shirts, pants, and bandanas in this fashion, but they won’t come cheap.